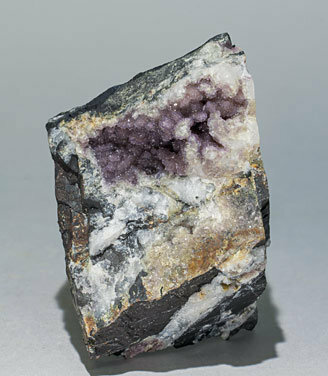 Globular growths of small Fluellite crystals with very well defined faces and edges, with an excellent violet color, very intense, plus excellent bright intergrowths of clearer Metavariscite. We especially note the color of this Fluellite, very unusual because earlier examples were colorless. Very sharp, individualized Fluellite crystals showing very well defined faces and edges. They have a very deep bright violet color, and are partially coated by small globular aggregates of Metavariscite. We especially note the color on this Fluellite, very unusual because earlier examples were colorless. 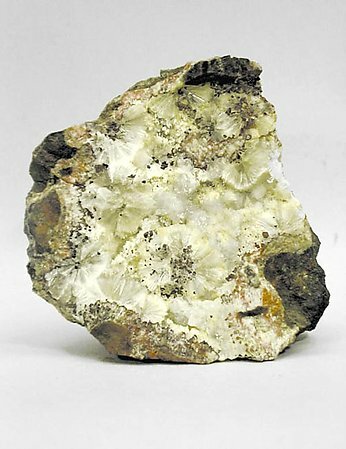 Fluellite its a rare mineral that is only found in millimetre sized crystals. Its color is usually white, so we cannot expect great beauty for this mineral. 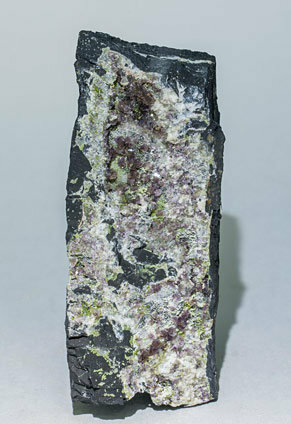 In this case the Wavellite helps by adding contrast and giving some esthetics to this rare mineral which is hard to find it in good specimens.